South Florida, the Eastern Seaboard and the West Coast represent many languages and cultures. We are a country whose demographics are consistently evolving and diversifying. Durée & Company recognizes that our media audiences may consist of segments separated by generations. Some segments may deeply embrace the language of their homeland, and others may straddle their native tongue and English. Some of our audiences may be new to the U.S., while others have been here for years and yet strongly identify themselves as Colombian, Peruvian, Dominican, Puerto Rican, Argentinian, Mexican or Bolivian, to name a few. Our team can speak to them all. 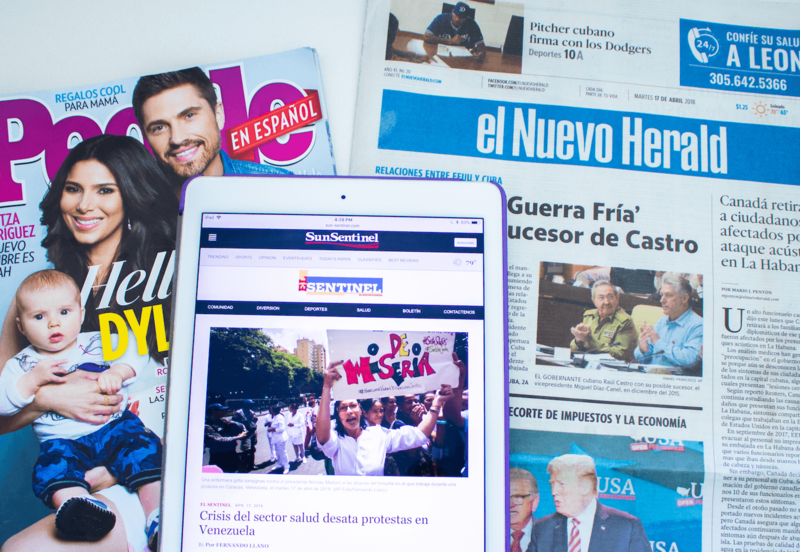 We work with media that speaks English and Spanish, so our clients’ news can reach the many diverse communities that make up the nationwide markets in which we work. Our team includes talented PR executives who hail from Spanish-speaking countries and enjoy working with multicultural media representatives with ease and fluency. Durée & Company strives to make the reporters’ jobs easier so we pitch in Spanish and English. We translate our emails into Spanish, making it convenient for them to share our clients’ news. While Latino and Hispanic media outlets are just as interested in the “big” news as mainstream outlets, they want the angle that their viewers want. Durée & Company media trains our Spanish-speaking spokespeople to be ready to talk about their news in both languages. Whether it’s Paco Vélez, president and CEO of Feeding South Florida®, or Alex Rodriguez-Roig, president of Boys & Girls Clubs of Miami-Dade, we provide Hispanic media outlets with the names and faces their viewers find relatable. We tailor our approach to what the market demands, customizing our PR strategies to the needs and requirements of the medium. In South Florida, along the U.S. East Coast and West Coast, Durée & Company knows how to get the story across to the Latino and Hispanic media — the way they want it. Vea lo que podemos hacer.